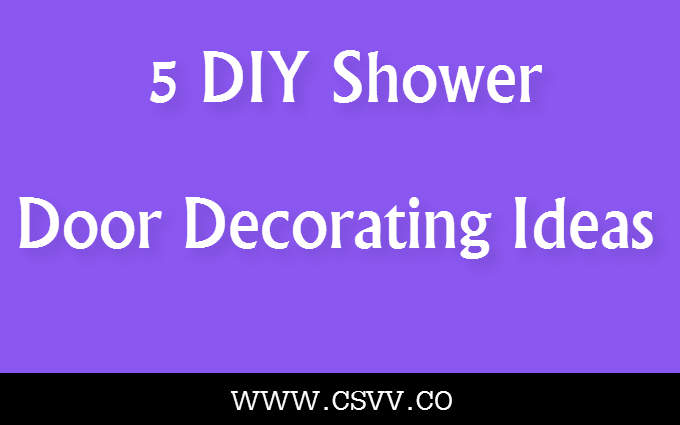 There are a variety of ways to enclose and decorate a shower. The enclosure can be stencilled, painted or stained, or the enclosure itself can be the decoration. As MasterShowerDoors.com points out, glass is the most common form of enclosure for a shower. While it may not be easily seen, glass enclosures can themselves be decorations simply because of the vast variety available, and how they themselves fit into the different styles of bathroom which exist. Frameless glass shower enclosure. This is a very popular option right now because of its flexibility; a frameless glass enclosure lends itself to any style. Aluminum and glass shower enclosure. This shower enclosure mimics the look of the tile in the back of the shower. Glass block shower enclosure. Glass block surrounds are versatile, and there are textured patterns on the blocks themselves. Sliding enclosure. Sliding doors can be customized to fit any style and space, and are a great way to show off your shower and still have room for other bathroom fixtures. Tub enclosure. Tempered glass can be sandblasted to create a frosted look, providing some privacy as well as looking good. Textured glass enclosure. The beautiful textures are enhanced with water running down the glass and create a spa-like feel. Tile and glass enclosure. A frameless glass door combined with tiled walls gives the bathroom an open look. One way of making a bathroom and shower unique is to use colors which aren’t often associated with bathrooms. Glass blocks in particular are good for this type of decoration, as they are available in different colors. As mentioned above, shower frames can also be done in different colors to the norm, which also works to bring some new color into the picture. While the bathtub is obviously not the shower door, the way it is presented can have an effect on what the shower enclosure looks like. An unusually colored bathtub can draw the eyes, particularly if the rest of the bathroom is a color people normally associate with bathrooms, thus highlighting the shower enclosure. Unusually colored baths, as well as being interesting themselves, make the glass enclosures themselves seem fresh and interesting! Forget everything you’ve been told about bathrooms needing to be white to open the space up (bathrooms are generally quite small) and bring light in. Paint it black, or red, or green. This will highlight the shower and the enclosure, particularly if they (in contrast to the previous point) are designed or painted in the way we would normally associate with bathrooms. If you don’t want to make such a drastic change as having an entirely new shower enclosure, consider using stencils or decals to spruce things up a little. They can be anything you want – big\small, colorful\black and white – it’s entirely up to you! Nice ideas. Thanks for posting such a wonderful post. I'm Gary, professional blogger and social media consultant with 3+ years experience. In addition, i'm a freelance online marketer practicing conversion optimization techniques. I'm always online via Twitter, you can catch me with your cool ideas.